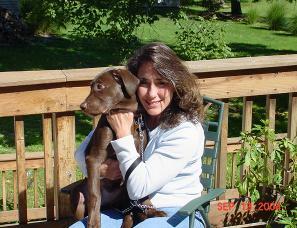 Perfect Pooches Dog Training is owned and operated by Mack and Margie Duplaga. We have been in and around dog training for Twenty Four combined years. Mack and Margie are certified and experienced dog trainers. They are certified Instructors/Evaluators for the AKC S.T.A.R. Puppy Program as well as the AKC Canine Good Citizen Program (CGC). Margie is a certified Therapy Dog Trainer and Evaluator for Bright and Beautiful Therapy Dog Inc. Through positive reinforcement, love and devotion the Duplaga’s bring an effective, fun and easy way to train you and your dog. In addition to dog training, volunteering for the community is one of Margie’s favorite activities. Mason, her therapy dog, joins her in visiting many local nursing homes, rehabilitation centers and schools. Perfect Pooches Dog Training teaches classes in: AKC S.T.A.R Puppy Program, Beginner and Advanced Obedience, AKC-CGC (Canine Good Citizen Program), Therapy Program through Bright and Beautiful Therapy Dogs Inc, and a few fun classes like a Tricks Class. Upon completing our training you and your dog will have established a wonderful relationship through Obedience training, hard work and dedication! Click Here to View Certifications and Guarantee!